The mission of the Corporation for National and Community Service (CNCS) is to improve lives, strengthen communities, and foster civic participation through service and volunteering. Through AmeriCorps, Senior Corps, and the Volunteer Generation Fund, CNCS has helped to engage millions of citizens in meeting community and national challenges through service and volunteer action. 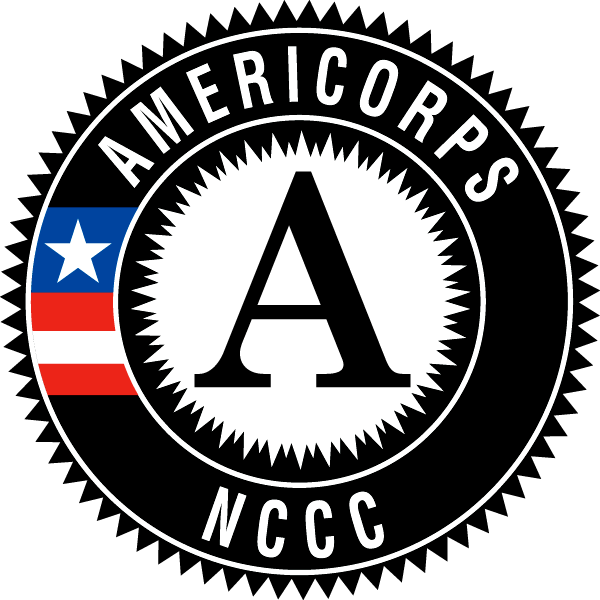 Several different types of AmeriCorps program funding is available from CNCS but the requirements, processes, and allowable service activities are different for each program. 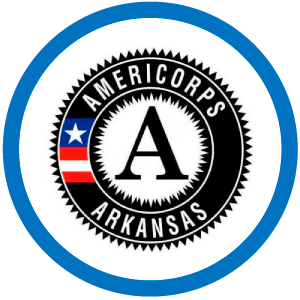 AmeriCorps Arkansas grants are available through VolunteerAR to Arkansas nonprofits, higher education institutions, local and state governments, and tribal angencies proposing to engage AmeriCorps members in evidence-based or evidence-informed interventions/practices to strengthen communities. 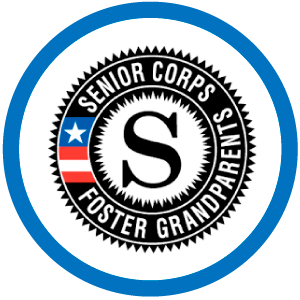 An AmeriCorps member is an individual who engages in community service through an approved national service position. Members may receive a living allowance and other benefits while serving. Upon successful completion of their service, members earn a Segal AmeriCorps Education Award from the National Service Trust that members can use to pay for higher education expenses or apply to qualified student loans. 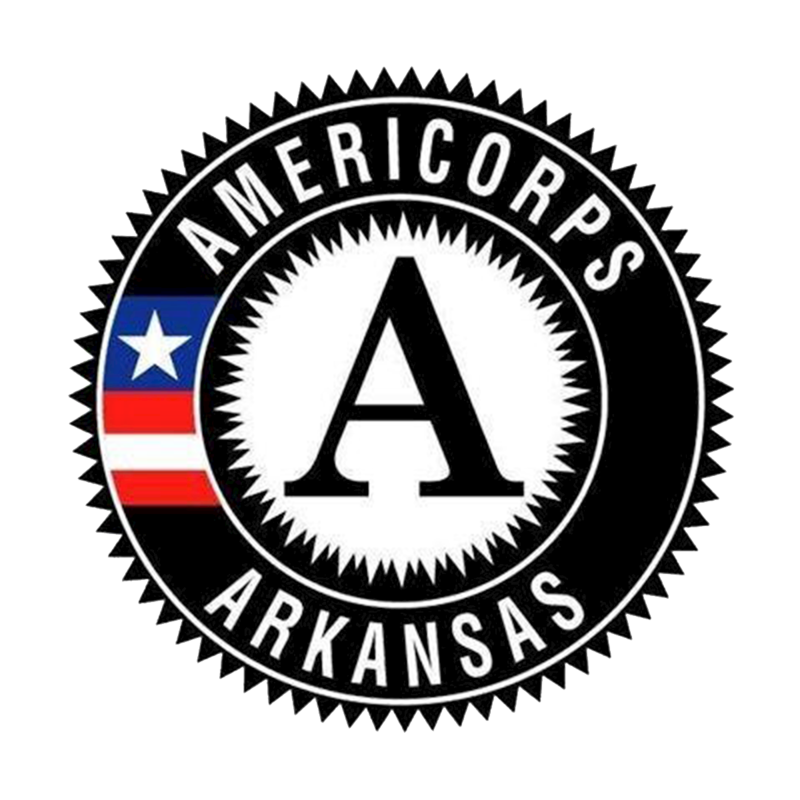 Successful AmeriCorps Arkansas program applicants are able to engage at least 4 full time or 8 half-time AmeriCorps Members in an intervention, program, or service that meets critical community needs in the areas of education, disaster services, health, environmental stewardship, economic opportunity, and veterans and military families. The funding opportunity for 2019-2020 AmeriCorps State is closed. Please visit this site in August 2019 to learn more about AmeriCorps State funding for 2020-2021. Thank you. 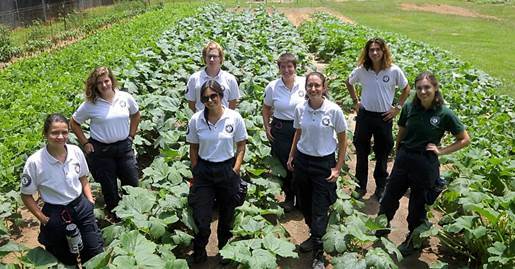 The AmeriCorps National Civilian Community Corps (NCCC) deploys teams of AmeriCorps members to projects in communities across the United States. Service projects, which typically last from six to twelve weeks, address critical needs related to natural and other disasters, infrastructure improvement, environmental stewardship and conservation, energy conservation, and urban and rural development. Members mentor students, construct and rehabilitate low-income housing, respond to natural disasters, clean up streams, help communities develop emergency plans, and address countless other local needs. 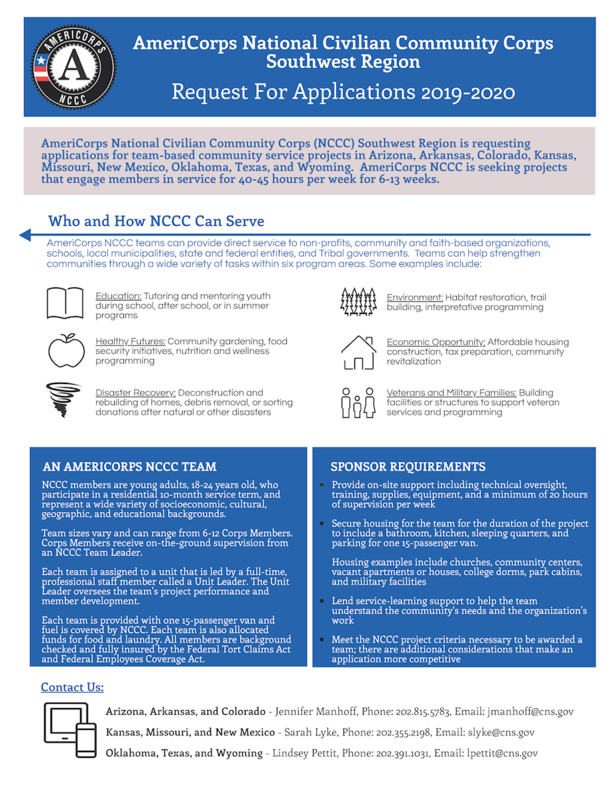 Sponsoring organizations request the assistance of AmeriCorps NCCC teams by submitting a Concept Form and Project Application to the regional campus that covers that organization’s state. Eligible organizations include nonprofits (secular and faith-based), local municipalities, state and federal government, Tribal agencies, and schools. 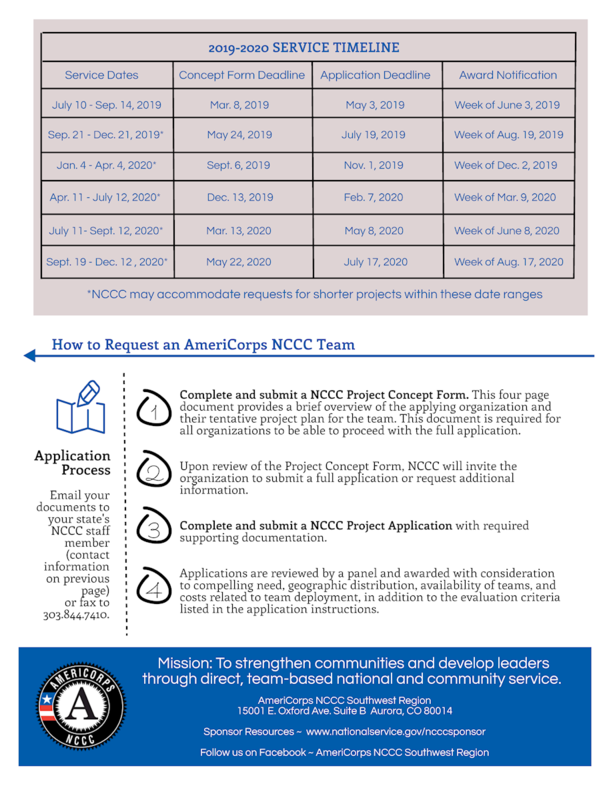 The campus provides assistance in completing the application, developing a work plan, and preparing the project sponsor for the arrival of the AmeriCorps NCCC team. Application instructions and information can be found here. 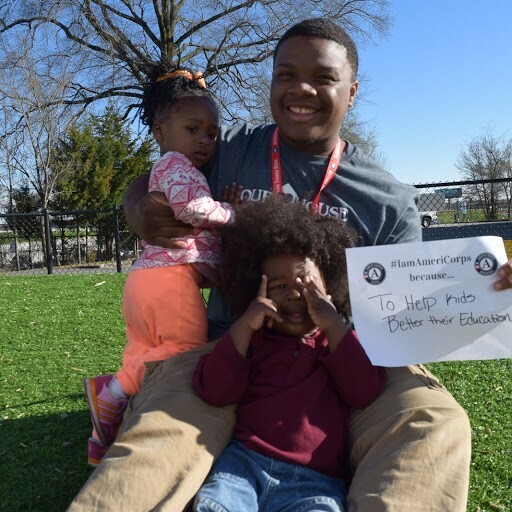 AmeriCorps VISTA (Volunteers In Service To America) provides members to support projects at nonprofit, grassroots organizations, and local government agencies that operate programs to help alleviate poverty in the United States. VISTA members strengthen and support these organizations by improving their infrastructure, expanding community partnerships, securing long-term resources, training program participants, and developing other activities that help build long-term sustainability for overcoming poverty. Public, private, or faith-based nonprofit organizations as well as local or state agencies can become an AmeriCorps VISTA sponsoring organization. The application process is conducted at the state level to ensure local community needs are being met. The application process is a two-phase process with con cept paper and full application. Contact the CNCS State Office covering the area in which the proposed project would be located to discuss application timeline, requirements and procedures.